Songstress Colbie Caillat recently released her new album, "Breakthrough," as a follow up to her 2007 debut album "Coco." Songstress Colbie Caillat recently released her new album, "Breakthrough," as a follow up to her 2007 debut album "Coco." She managed to avoid the common "sophomore slump" with this mellow, yet upbeat, collection of songs, which debuted at number one on the charts. And now it looks like Colbie, who began as a "MySpace phenomenon," is now securing her place as a solid fixture in the music industry. Music runs in Colbie's blood as her father, Ken Caillat, produced not only her album, but also several Fleetwood Mac albums. And though her sound is reminiscent of some Fleetwood Mac songs, it's obvious that Colbie is more than just her father's daughter. She has certainly managed to find her own footing in the music world. "Breakthrough" carries a balance of maturity and naiveté… Colbie walks a fine line between them. 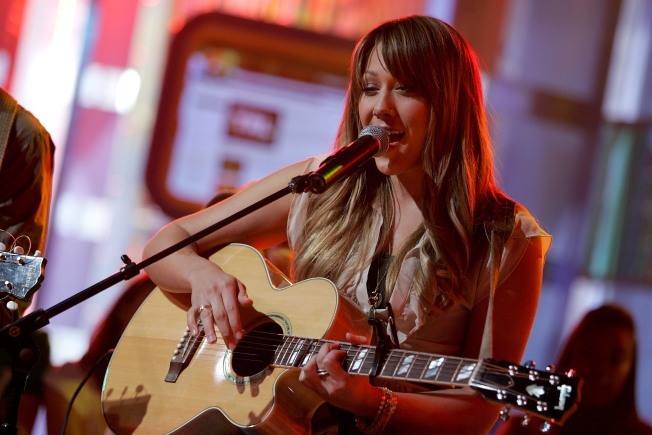 The album keeps a steady pace with her smooth vocals and shows Colbie honing her skills as a songwriter. From start to finish, the album is consistent and strong. The lead-off single, "Fallin' For You," is getting a solid amount of air play… and for a good reason. The song is fun, catchy and commercially appealing. But her deeper, more pensive side can be found in songs like "Begin Again" and "It Stops Today." She also uses this album to explore that ever-relatable theme of heartbreak in songs like the title track, "Break Through" and "I Never Told You" – a song dripping with deeply personal sense memory. The album is all about a girl who is coming into her own while managing to avoid triteness. As she says herself, "These songs are about growing up, experiencing life, love, making mistakes, and learning from them." It's always interesting to see an artist's progression from the very beginning of their career. With her career just taking off, I'm excited to see where Colbie heads from here. Catch Colbie Caillat on tour this fall in the following cities.